President Dwight Eisenhower’s 18k gold Rolex Oyster Perpetual Datejust Chronometer on a Jubilee bracelet, given to him by Rolex for his heroic leadership role in the planning and implementation of D-Day, is going up for auction. This is the first time the historic watch has been up for auction, and is expected to sell for an estimated $1 million. The end of World War II was celebrated world-wide. To show their appreciation to the Allies, Rolex commissioned two gold watches, presenting one to Eisenhower, who led US troops, and one to Winston Churchill, who led Great Britain’s forces, for their heroic leadership during the war. 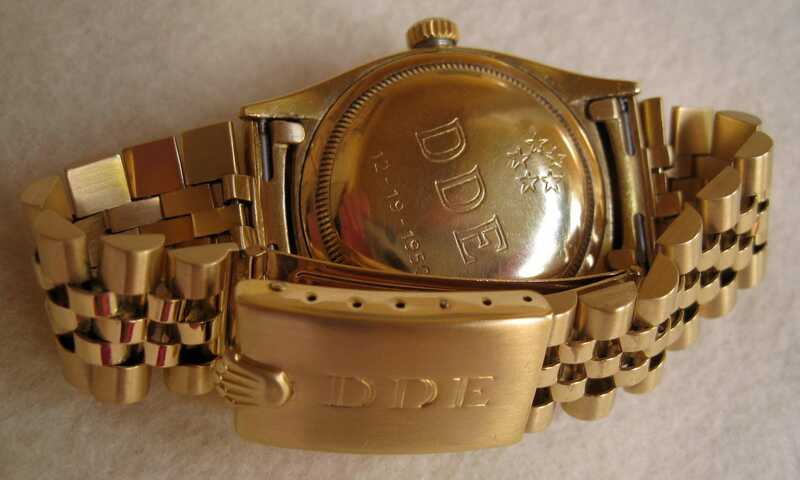 The 18k gold watch was presented to Eisenhower in 1951, then a five-star general. Eisenhower’s gold Rolex Oyster Perpetual Datejust chronometer is one of the most famous individual pieces ever made by the Swiss company, and the 150,000th 18K gold watch the company ever made. The 100,000th had been presented to Churchill. 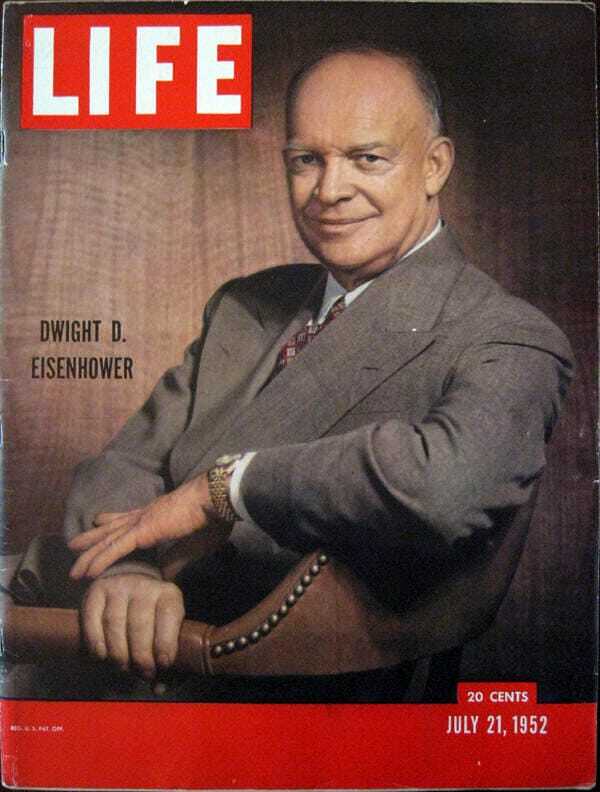 When Eisenhower was president, he regularly wore the special watch. It can even be seen in his official portraits, including the one which appeared on the cover of Life magazine in 1952. 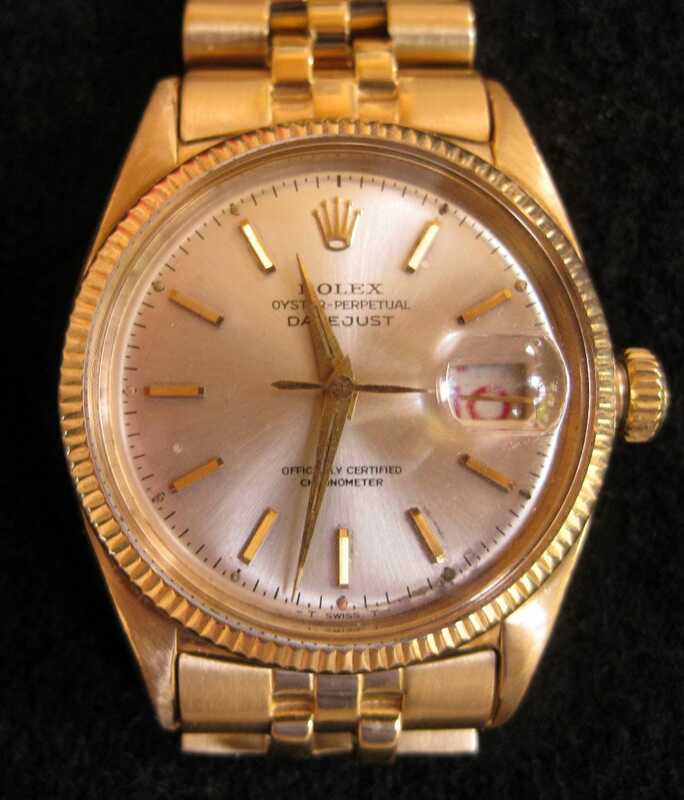 When Eisenhower died in 1969, he left the Rolex timepiece to his Army colleague, White House staff member, and longtime friend, Sgt John Moaney. Moaney continued to work for the Eisenhower family, keeping the watch for ten more years. Moaney then passed the watch to his wife after his death. The watch remained in Moaney’s widow’s possession for years before she sold it to Raleign DeGeer Amyx three decades ago. DeGeer Amyx, former FBI and well-known presidential memorabilia collector, kept the timepiece until the present. The watch quickly became the crown jewel of DeGeer Amyx’s large presidential memorabilia collection. DeGeer Amyx, now 76, can no longer maintain the size of his presidential memorabilia collection and has decided to auction it off. The auction will take place on September 17 in Boston, Massachusetts. The auction will include several items owned by President Eisenhower, including Eisenhower’s Second World War brown leather flight jacket, a pair of binoculars, and an Eisenhower painting. 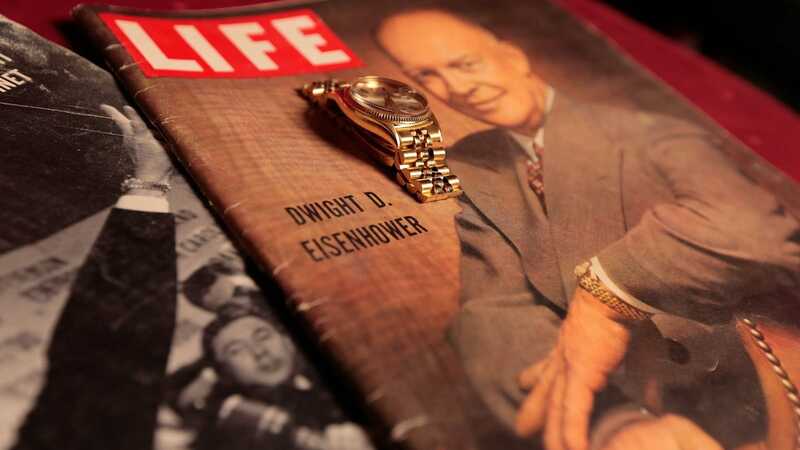 However, Eisenhower’s gold Rolex will be the prize piece of the auction.